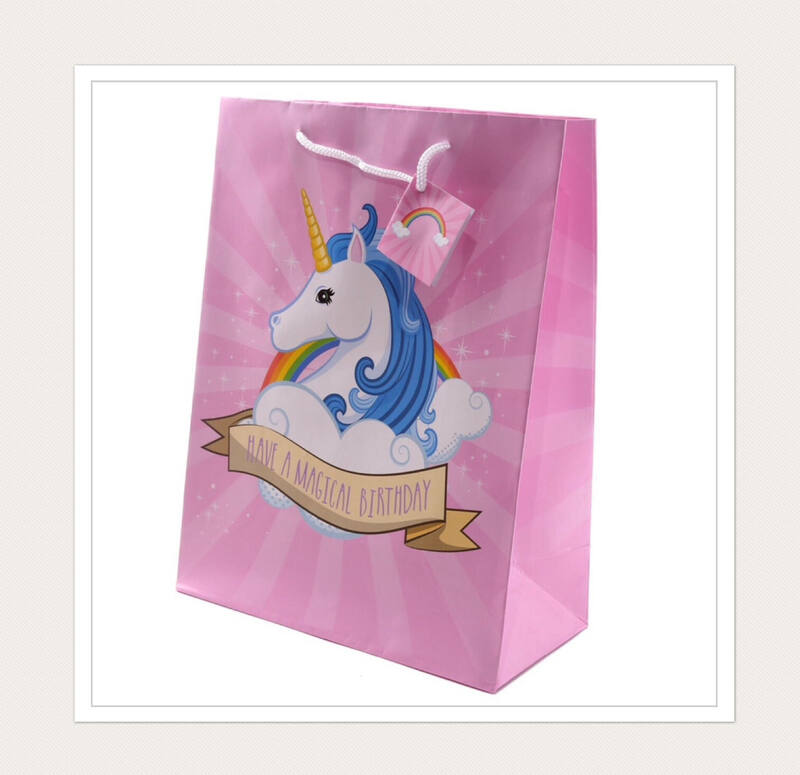 Medium sized Unicorn gift bag ideal for any unicorn lover! This size bag will fit medium sized item such as clothes, toys or stationary. Materials Glossy paper, Nylon cord.